A quick bit of necessary creativity here. 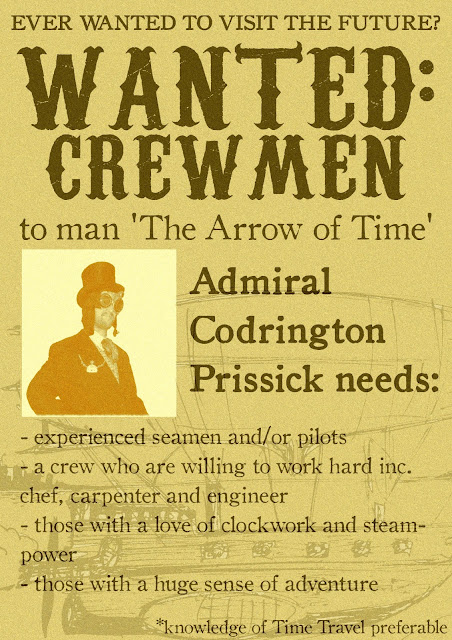 A job advert to inspire the children to write a job application letter tomorrow on our 'Steampunk Day' (kids are getting dressed up in their own outfits! ).